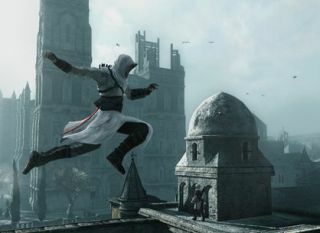 EA’s previously mentioned it’s eyeing up a move into the third-person action market with some sort of open world game. However, don't expect it anytime soon if a recent financial call is anything to go by. VP of EA Studios, Patrick Söderlund, previously said back in 2015 that "EA is not known to make gigantic action games like Assassin's Creed or Batman or GTA, or those types of games that are really big. The strategic direction that we put in motion is to expand our portfolio more into that segment." Speaking in an investor call this week, CFO Blake Jorgensen backed that up: “we feel like there’s a huge opportunity for us to continue to invest in new areas of the business like the action genre where we haven’t competed historically. There's a very ripe opportunity for us to invest in and we’ve been able to bring great talent in to build out that part of the business”. It's not going to happen any time soon though, as Blake later said “today we’re building an action genre product that’s probably in our fiscal 20 or 21”. To put that in perspective, EA are currently in its fiscal 17, so it's three or four years out at best (let's pretend there are no delays). While whatever the new game is, is way, way off, we can expect something new next year according to Blake who says “we do have a new IP coming next year, we haven’t yet announced it but its something probably coming up soon”. My guess then is a new reveal at this years E3.